Leadway Pensure PFA Limited (“Leadway Pensure”) was incorporated on the 25th day of August, 2004 as a Pension Fund Administrator in accordance with the provisions of the Pension Reform Act 2004. 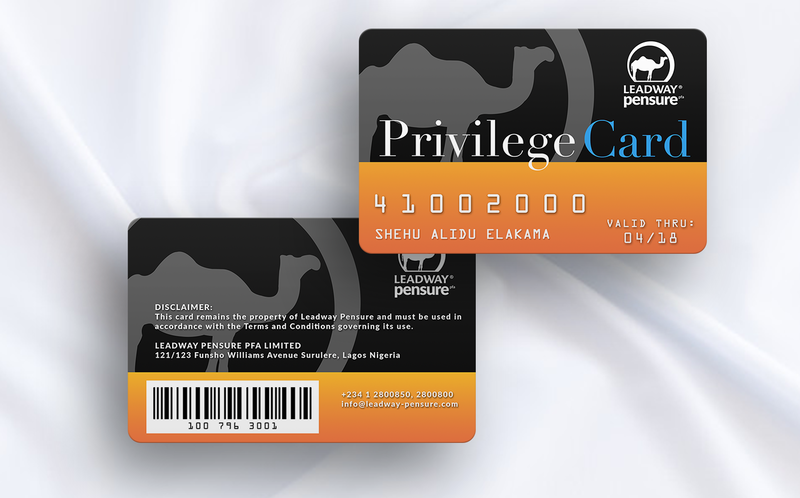 Formed by a consortium of three (3) major financial service companies, Leadway Pensure is one of the most capitalized PFA’s in Nigeria with an authorized share capital of N2.0 Billion. Our shareholder’s fund is in excess of N4.0 Billion, unimpaired by losses. Since inception we have positioned ourselves as one of Nigeria’s foremost Pension Fund Administrators. Leadway Pensure boasts of an extensive national coverage as well as an in-depth experience in pension administration and fund management for prominent corporate organizations, states and federal government Institutions.Our shareholders have a combined experience of over 125 years in the delivery of professional fund management service. Our outstanding experience, expertise, technology, and transparency positions us to deliver on our promise of providing you simple, coherent, efficient and exceptional quality service. 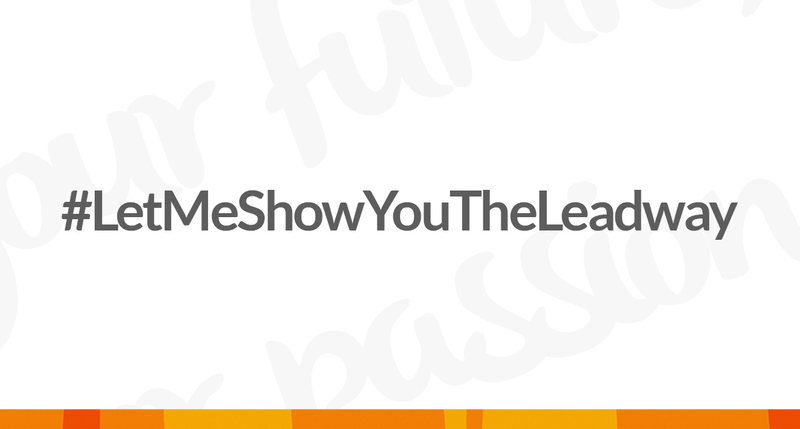 Leadway Pensure PFA is reputed for her professional business ethics and corporate governance, which are driven by the unflinching level of integrity of its Directors and Shareholders. Receive a copy of our company profile today! 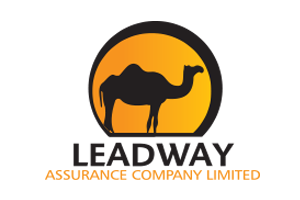 To passionately deliver unrivalled pension services and financial comfort to our clients. We are a unique PFA, focused on the future security of the citizens of our great nation. We are passionate and energetic, evolving from a vision and commitment to the welfare and comfort of the Nigerian, and we are proud to associate with all our esteemed clients, in this regard. We believe that the Nigerian deserves value and dignity for all their activities in life, in particular after years of work and service. Leadway Pensure PFA is totally committed to ensuring we provide that value. We pride ourselves on the fact that we will generate enviable investment returns, making sure that your retirement nest egg grows within the boundaries of our economy. Our commitment to value means that we are also committed to providing excellent service to you at all times. We know our staff are our greatest assets, and so we believe in progressively developing them, to ensure that they achieve their maximum potential in the achievement of personal and professional goals. 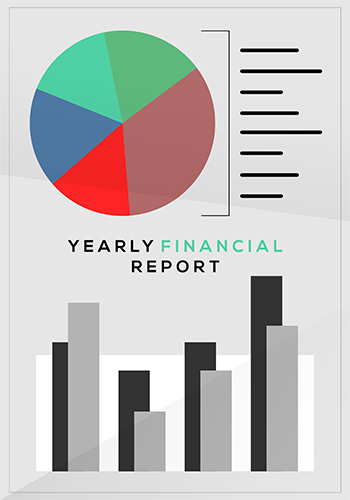 We believe that our clients trust us, particularly because of the seriousness and importance of their financial (retirement) assets that we are responsible for and so, with our best effort, we pursue profitability and accountability. Our word is our bond. Openness, Trust, Honesty and Sincerity are our watch words. We respect boundaries and maintain confidentiality at all times. Our objective is to know our clients and we value their thoughts and opinions. We are helpful and concerned. Our clients best interest remains at the centre of all our activities. Developing our creative ability to formulate new ideas or use existing ideas in a differentiated way to provide solutions that will enhance customer experiences and create value for stakeholders. We strive to be the best in everything we do. We are skilled, knowledgeable and competent. We love our work and ensure it translates to effective and efficient service delivery. We are driven by an earnest unwavering desire to do the best for our clients. Together we stand and achieve greater heights. We value individual opinion and joint contribution to the bottom line. We believe in leveraging on the strength of our employees. Leadway Assurance Company Limited (“Leadway Assurance”) is the leading Insurance Underwriter in Nigeria. 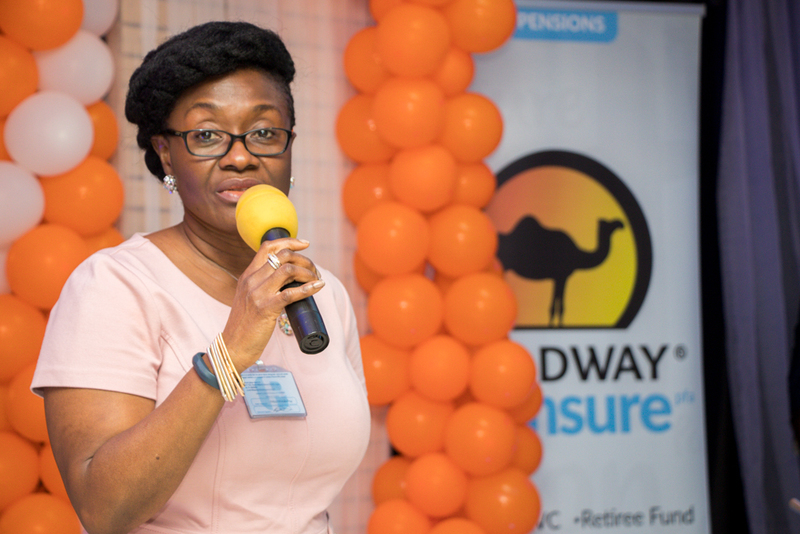 In her over 45 years of existence, Leadway Assurance has built a reputation anchored on Integrity, Prompt Claims Settlement and Innovative Service. In 2016, Swiss Reinsurance of Zurich popularly referred to as “Swiss Re AG” acquired a 25% stake in Leadway Assurance as a reflection of the Swiss Re’s belief in the “Leadway” brand and corporate governance. Swiss Re is the second largest re-insurance company in the world with over 150 years of extensive expertise in developed and emerging Markets. Established in 1995, MBC Securities is a dealing member of the Nigerian Stock Exchange also registered by the Securities & Exchange Commission. 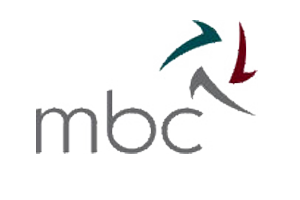 MBC Securities has established itself as a reputable stock broking house and has a commanding presence in the secondary market of the Nigerian Capital Market, with premium clientele spanning Portfolio Managers, Institutional Investors and High Net worth individual. 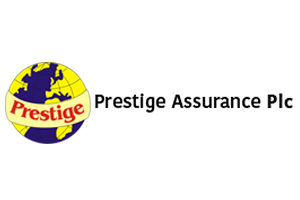 Prestige Assurance Plc, is one of Nigeria’s leading general insurance Company with offices nationwide. Primed with over 65 years of undisputed insurance services, and a commitment to create long-term value for its clients and stakeholders through strong business fundamentals, consistent with our mission guided by our vision and directed by our company’s core values. Mr Hassan Odukale is the Managing Director/ Chief Executive Officer of Leadway Assurance Group. He is also a Director of FBN Holding Company. He graduated from the University of Houston, Texas from where he obtained both Bachelors and Masters Degrees in Business Administration, specializing in Finance. Mr Hassan Odukale started his career in insurance with SCIB & Company Insurance Brokers (an affiliate of Segwicks Insurance Brokers) in 1980 and joined Leadway Assurance Company Limited in 1981 He became the Managing Director and Chief Executive Officer of the company in 1994. He is a Munich Re scholar, being the First West African recipient of Munich Re and Georgia State University International Visiting Fellows insurance Program. He is accredited by the Securities and Exchange Commission as an Investment Manager and Portfolio Adviser. Mr. Oye Hassan-Odukale serves on the Executive Committee of the African Insurance Organization, and is the current Chairman of the Franco Nigeria Chamber of Commerce (FNCC) and also Chairman of the Lagos State Security Trust Fund (LSSTF). He also sits on the boards of FBN Holdings PLC FBN (UK) Ltd, The Infrastructure Bank PLC and the Special Olympics of Nigeria (SON). He is a Member of the Order of the Federal Republic (MFR). THO as he is fondly called is the Executive Director in charge of Investments and Management Systems at Leadway Assurance Group. He is accredited by the Securities and Exchange Commission as an Investment Adviser and Portfolio Manager. THO, a graduate of the University of London and City University, London, holds a Bachelors degree in Pure Mathematics and a postgraduate diploma in Actuarial Science. He is an ordinary member of both the Royal Society of Mathematics and Pensions Management Institute. He has attended The Advanced Management Program of Lagos Business School and several courses on Investment Management and Portfolio design. He currently serves on the board of First Bank Nigeria Limited, Leadway Assurance Company Limited and Digital Jewels Limited. Dr. Swamy is the Current Chief Executive and Managing Director, Prestige Assurance Plc. He holds a degree in Veterinary Science (B.V.Sc) from Andhra Pradesh Agricultural University, Hyderabad and Post-graduate in Business Administration (M.B.A Marketing) from Dr. B.R. Ambedkar Open University, Hyderabad, India. With an experience of two years in Rural India, he joined The New India Assurance Company (Wholly Owned by the Govt. of India and Largest General Insurance Company with A-Excellent Rating given by A.M. Best Company, U.S.A, an indication that the Company has the highest degree of financial strength to honor its Policyholders obligations) as Direct Recruit Specialist Officer in 1985. Dr. Swamy is recognized as Specialist in Agriculture and Rural Insurance business in Andhra Pradesh serving in several capacities in India and the Philippines. Dr. Swamy is an Associate of the Insurance Institute of India and has attended various training programs at national and international levels on Insurance, Reinsurance and Management studies and Corporate Governance. Mr. Majekodunmi is the Managing Director of MBC financial services group. Mr. Kofo has over 25 years banking experience. Prior to this, Mr. Majekodunmi was the deputy managing director MBC international Bank Limited and Executive Director Investment Management at FBN Capital. Mr. Majekodunmi was called to the Nigerian Bar in 1988 upon his graduation from The London School of Economics & Political Science where he obtained a degree in law. He is a member of the Nigerian Economic Summit, the Institute of Directors and holds an MBA from the Lagos Business School. Ike Osakwe is a Chartered Accountant and practicing Management Consultant. Educated in England, he holds degrees in Chemistry from the University of Oxford and has served Articles in the London offices of KPMG Audit. Qualifying in 1980, as a member of the Institute of Chartered Accountants for England and Wales, he returned to Nigeria to work as an expatriate for ITT. He now serves as the Managing Director of GRID Consulting Ltd., a company that specializes in the planning and implementation of change processes and systems for Commerce, Industry, Government and NGOs. Mr Osakwe has over 28 years’ experience in financial, strategic and corporate planning, as well as organizational and financial management systems development. He has held several government and board appointments and currently serves on the Boards of Oando Plc., Thomas Wyatt Nig. Plc. and FedEx Red Star Nig Ltd.
Mallam Waziri has over 35 years’ professional experience in the public service, banking and oil and gas businesses. Mallam Waziri has held several key management positions including Executive Director Nigeria Gas Company, Executive Director, PPMC Ltd, Deputy Managing Director of Nigeria LNG Ltd and Group Executive Director NNPC. Mallam Waziri, a former member of the House of Representatives is currently the Managing Partner, Gulf of Guinea Petroleum Consulting Limited. He is also the Chairman of the Board of Directors, Transmission Company of Nigeria (TCN); and sits of the boards of First Bank of Nigeria; FBN Bank, UK, First Exploration and Petroleum Development Company Limited amongst others. Mallam Waziri, is a fellow of the Institute of Directors (IoD). Mr. Scot O. Six joined Swiss Re with over 20 years of experience in senior management and investment roles across financial services. Mr. Six has led principal investment activities at both Morgan Stanley and Deutsche Bank. He most recently served as the operating partner responsible for financial services transactions at Seven Point Equity Partners, a middle market focused private equity firm. Previously, Mr. Six served as Global Head of Marketing for Deutsche Asset Management and a member of the Global Executive Committee. Within the Deutsche Bank Group, Scot also served as Deputy Global Head of Equity Research and as co-manager of the Global Cash Equity Division. Prior to joining Deutsche, he was a Partner at Green Partners LLC, a renewable energy private investment fund which developed distributed power facilities throughout Europe and the United States. Earlier in Mr. Six’s career, he led the Corporate Strategy Team at Morgan Stanley. Prior to her appointment as Managing Director of Leadway Pensure PFA in 2007, she was an Executive Director of Leadway Pensure PFA. She was also an Executive Director of both MBC International Bank Limited and MBC Securities Limited. Ronke is a Fellow of The Institute of Chartered Accountant of Nigeria, Chartered Institute of Taxation and a Fellow of Chartered Association of Accountants, UK. She was Head of Capital Issues Division of ICON Limited (Merchant Bankers) for 7 years from where she moved to MBC International Bank in 1993. She was appointed an Executive Director at MBC International Bank in 2001. Her experience covers Investment Banking, Retail Banking, Corporate Banking, Treasury, Corporate Services, Capital Markets and Securities. She has attended various courses internationally and locally including the Chief Executive’s Program at the Lagos Business School and IESE in Barcelona, Spain. Ronke Adedeji is also a fellow of the Certified Pension Institute of Nigeria (CPIN) and the Association of Pension Funds of Nigeria (APFN). Prior to his appointment as Executive Director, Lanre Idris served as the Chief Operating Officer of the company. He was formerly the Chief Technology Officer, Prestel Communications Ltd., Benin and Tehila Communications Ltd., Lagos. He has extensive experience in information systems, Governance, Risk and Business Process management, and has participated in many local and international seminars in those subject areas. He is an alumnus of the Obafemi Awolowo University, Ile-Ife and the University of Liverpool, from where he obtained a degree in Electrical and Electronic Engineering and Postgraduate diploma in Information Systems Management respectively. Lanre has undergone several certificate and executive education courses at the Lagos Business School, London School of Economics and The Wharton College of the University of Pennsylvania. He is a member of the Information Systems Audit & Control Association, Institute for Operational Excellence, the British Computer Society and the International Institute for Business Analysis. He is an ardent technocrat with over 22 years ornate experience; over 12 years of which have been in senior management and executive ranks. He is a lifelong fellow of the Nigerian Conservation Foundation. Prior to his appointment as an Executive Director of Leadway Pensure PFA Ltd., Mr. Olusakin Labeodan served as the Chief Marketing Officer as well as the Group Head, Distribution of the Company. He holds a Bachelors Degree in Statistics from the University of Ibadan and an MBA (Strategic Management) from Milpark Business School, Johannesburg, South Africa, with distinctions in Strategic Marketing and Strategic Operations Management. He bagged the Top MBA Award in Strategic Operations Management (1998) by Stocks & Stocks Leisure Development (Pty) Limited, South Africa. Olusakin’s consistent and successful career experience in Public, Private and International Organisations continue to enrich his leadership capabilities especially in the areas of Sales and Marketing, Business Development, Customer Services, Finance & Investments, Research, Information & Communication Technology, Private Banking and Pension Fund Administration. Olusakin has attended several advanced local and international seminars and trainings, which includes Creating and Implementing Strategy for Competitive Advantage, High Performance & Creative Negotiator, Developing Leadership Competencies, Senior Management Program (SMP43), Mastering Strategy and Commerce Web Development at Wharton University of Pennsylvania, IESE Business School, Barcelona, Spain; Lagos Business School (LBS) Lagos and Nigeria; Dimension Data Learning Solutions, Johannesburg, South Africa. He is a Full Member, South African Institute of Management (SAIM) and the Computer Society of South Africa (CSSA), now Institute of Information Technology Professionals South Africa (IITPSA). Yomi is a graduate of Accounting from the Obafemi Awolowo University Ile-Ife and an Alumnus of the Lagos Business School. He is a Fellow of the Institute of Chartered Accountants of Nigeria (ICAN) and an Associate member of the Chartered Institute of Taxation (CIT). He has attended several local and foreign training’s on Leadership, Finance, Management, Strategy amongst others. He has varied Accounting and Administration working experience from various organizations spanning Telecommunications, Advertising, Stockbroking, Share Registration, Mortgage Banking, and now Pensions. His over 18 years experience in the Financial Service Industry and Telecommunications has seen him working in Accounting & Treasury Operations, Audit & Risk Management, Revenue Assurance, and Financial Control. Adesegun obtained his first and second degree from Ogun State University Awo-Iwoye. His experience in Audit and control cuts across Insurance and Telecommunications Sectors. Prior to joining Leadway Pensure PFA, Segun had served as an Audit senior in Adeolu Balogun & Co, Head of Internal Audit; Law Union & Rock Insurance PLC and Revenue Assurance Manager; Globacom Limited. He is a Fellow of the institute of chartered accountants Fellow, Institute of Chartered Accountant of Nigeria (ICAN) and Chartered Institute of Taxation of Nigeria (CITN). Akindele is a Certified Compliance and Ethics Professional (CCEP-I) by the Society of Corporate Compliance and Ethics (USA). Akindele holds a Bachelors degree in Political Science and Education. Akindele has attended several trainings and courses including the Senior Management Program of the Lagos Business School. He is currently studying for his Master Degree. In his capacity as the Compliance officer, he oversees the Company’s compliance with all regulatory requirements, in the interest of all stakeholders. Lolade holds a degree in Accounting from the Oxford Brookes University UK. He also holds a Certificate in International Financial Reporting Standards (CertIFR) and is a Certified Information Systems Auditor – CISA (ISACA). Lolade is a chartered accountant and has a strong leaning towards process re-engineering and cost containment strategies. With over 16 years’ experience, largely in the banking sector, Lolade is a change management expert and has participated in several strategic initiatives like SAP-ERP and Oracle ERP & ERM Implementations. 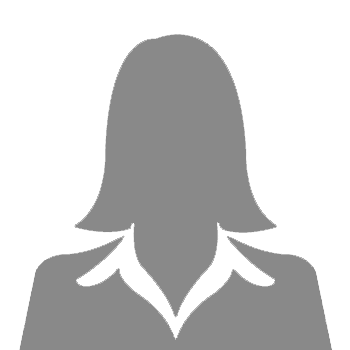 Sola has varied experience in Business development, Sales & Marketing and Customer Service. A graduate of Business Administration from Ogun State Polytechnic; he holds a Post Graduate Diploma in Economics from Lagos State University and an MBA from Ladoke Akintola University, Ogbomosho. He is an Associate Member Nigerian Institute of Management (ANIM) & National Institute of Marketing (ANIM). He has attended several courses including Senior Management Program (SMP) at Lagos Business School. Oluwatade holds a Masters degree in Business Administration with specialization in Finance from the University of Lagos. He is a fellow of the institute of Chartered Accountants and a member of the Certified Pension Institute. Oluwatade has over 15 years working experience in the insurance and pension industry. Sunkanmi is a graduate of Computer Science. He obtained a Master Degree in enterprise systems from the Sheffield Hallam University UK. Sunkanmi is an Information Technology expert with over 17 years’ experience and spanning automation of business processes, banking applications implementation and customization, electronic and mobile banking solutions, database and infrastructure management. Titi holds a Masters degree in Human Resources from the University of Bradford, UK. She is an Associate of the Chartered Institute of Personnel Development (CIPD), UK; Chartered Institute of Personnel Management in Nigeria (CIPM), Certified Pension Institute of Nigeria (CPIN) and the Nigerian Institute of Management (NIM). She also holds the British Psychological Society Certificate of competence in Occupational Testing – Knight Chapman Psychological Ltd (KCP).